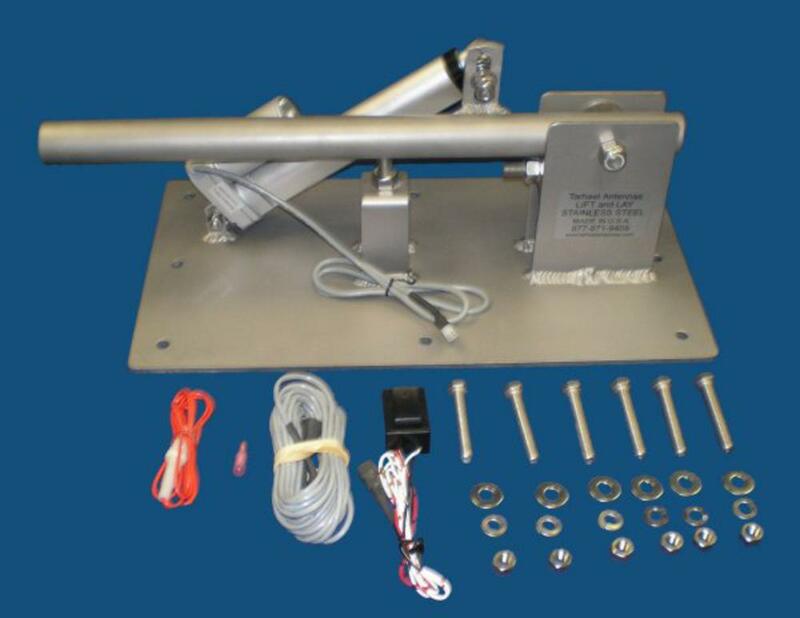 The Lift & Lay mount is made as a support for the MT-1 antenna bracket, it's designed to give you the option of laying or raising your antenna with the push of a button. You can use this mount on the top of a motor home, camper or bed of a truck. It comes with it's actuator already installed on the mount, the switch to operate and 20 ft. of control cable. This mount is also 304 stainless steel.